Fibromyalgia can be a very difficult condition to live with, one that transforms ordinary, every-day tasks like typing on a keyboard, cooking in the kitchen, and doing laundry into excruciating, exhausting responsibilities. The neurological disorder can cause muscle and connective tissue pain, stiffness, general weakness, even headaches and anxiety. Proponents of using cannabis for fibromyalgia have been able to ease off their prescription medications – which include antidepressant and anti-seizure pills and muscle relaxants, all of which pose significant health risks – when they start supplementing with cannabis. A few individuals have even been able to cease the use of doctor-prescribed pharmaceuticals all together. When we consider that cannabis has proven useful for people struggling with depression, seizures, and muscle pain, it is not terribly surprising that the all-natural plant and its derivatives can treat these same symptoms in sufferers of fibromyalgia. Many advocates know cannabis has been used as a treatment for thousands of years. What you may not know is way back then, it was already recognized as a successful therapy for fibromyalgia or, as it was called in Chinese Emperor Shen-Nun’s day, rheumatism. 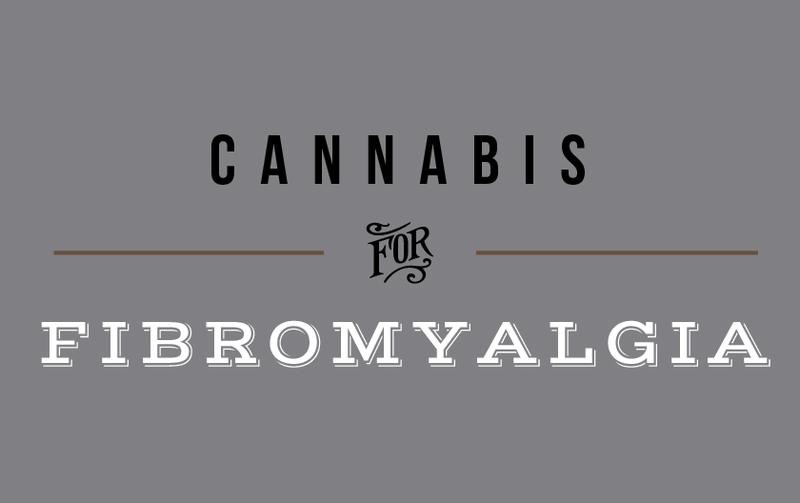 Unfortunately, like many conditions cannabis may help, the official, clinical research into fibromyalgia is relatively scarce, though what exists is quite positive. In 2008, a study involving a cannabis-based drug called nabilone reduced pain and anxiety in 40 fibromyalgia sufferers. The drug is quite expensive, however, and only a small amount of the cannabinoids it contains actually make it to the bloodstream. In 2014, the National Pain Foundation administered a survey that examined the effect of four different medications, including cannabis strains, on fibromyalgia symptoms. The results are very promising: though more than half the patients stated the three FDA-approved drugs did not work at all, 62% of them said cannabis was “very effective”, and only 5% found it ineffective. Recently, a company creating cannabis-based products developed an adhesive patch designed to deliver cannabinoids through transdermal absorption. When affixed to the skin, the patch allows CBD to be absorbed gradually into the bloodstream, where the cannabinoid moves throughout the central nervous system, granting pain relief and preventing inflammation. The patch is intended to be used by individuals with fibromyalgia and nerve pain from diabetes. The wonderful thing about medicating with cannabis is the ability to alter the strains and ingestion methods you use to best treat your current symptoms. This requires knowledge and experimentation, of course, but the staff of FARM are always there to help you get the most out of your holistic, natural treatment. If you find you are often affected by your fibromyalgia symptoms during the night, making it difficult to fall or remain asleep, an indica-dominant cannabis strain taken in the form of an oral product is a great choice. The effects will take half-an-hour to an hour to set in, giving you time to nod off, and then last for much of the night. Higher levels of THC are often better suited to nighttime use, as well, because the psychoactive effects won’t interfere with your daytime productivity. During the day, the sudden onset of fibromyalgia symptoms can be quickly addressed by vaporizing a sativa-dominant cannabis strain and if preferred, low-THC, high-CBD options are always available for relief without that classic euphoria. At FARM we carry cannabis strains and products for relief of fibromyalgia at any time of day. Battle nighttime pain and prevent interrupted sleep with a variety of our indica dominant strains, or THC capsules. During the day, turn to a tincture like Medi Bloom Charlotte’s Web for an uplifting, focusing dose of high-CBD medication, or try a topical for both targeted and widespread pain and inflammation (we recommend Miss Envy Buddha Buddah). Whatever your symptoms, FARM has a cannabis product that can help. Stop by and talk to our knowledgeable staff and start experiencing all-natural relief.